The advantages of programmable thermostats in air conditioners are quite obvious and straightforward. Like the name suggests, programmable thermostats allow users to set the time when the aircon should start. It means you can schedule heating or cooling to start even without your presence. The advantages of this feature will depend on your unique requirements and schedules. • Reduction in energy consumption – This is the main reason programmable thermostat aircons are designed. It helps you adjust your energy expenditure and gives you the comfortable cooling or heating only when needed. Using such aircons will help you save more money. It also makes using smart devices at home quite easy. • Automatic adjustments – The ability to make automatic adjustments is something that everyone would like in any air conditioner. 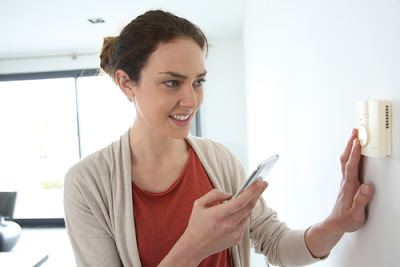 Programmable thermostats allow you to schedule automatic heating or cooling to coincide with when you get home. It is also ideal for businesses. 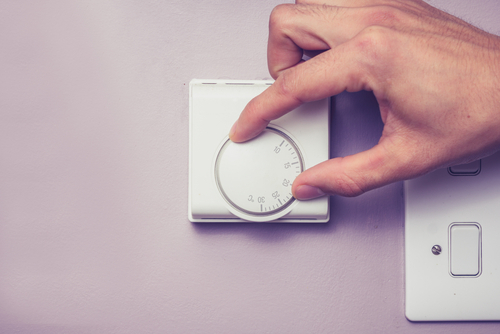 If you open your business by 7am when employees begin to arrive at the workplace, you can set the thermostat to start heating your rooms at 6am or 6:30am. This setting causes automatic adjustments and you can also set the pause and restart times according to your requirements. • Family and guest comfort – Imagine picking up a family member or guest and taking them to your home in the middle of the day when it is hot and scorching. If you were informed of this pick up before you left home, you can simply set the thermostat to start cooling a few minutes early so that the house can be cool and comfortable by the time you arrive. If it was a cold day, you can set the thermostat for heating. • Remote control - There are other high end designs that allow remote control which means you can set the aircon to start heating or cooling without being physically present at home. These are smart designs ideal when you want to react to urgent needs. Going with the above example, if you were informed to pick a guest after you had left for work, then the remote control models would still allow you to start cooling or heating. These are the most energy efficient models since they incorporate another level of flexibility. It means you can stop the thermostat from heating or cooling if you have to stay away much longer for any reason. Other benefits of such thermostats include integration of other technologies as they can be used to detect infringements. There are apps that can display the energy consumption graphs after syncing with your thermostat and these displays can be used to identify anomalies. • High initial cost – if you are going for smart technology, efficient systems and all the conveniences mentioned, you will definitely pay more. The programmable thermostats are usually very expensive (up to 40%) costlier than the conventional digital thermostats. • Tech savvy set up – programmable thermostats are quite difficult to install and set up. It is time consuming to get your thermostat to work properly and adjust to the HVAC system. In fact it is almost impossible to achieve this without using professional services and this can be frustrating. Getting it right and installing these systems as required is usually complicated. • They are not universal – this is another big concern about programmable thermostats. Most residential buildings and commercial outlets already have a HVAC system integrated into the building. The device you purchase will not necessarily be compatible with the HVAC you already have in your building. You must therefore spend time finding the precise model that will work effectively with the existing system. There many other little concerning issues about programmable thermostats. Without insights on how to effectively use this high end technology, you may actually end up using more energy. Devices that are not compatible with your HVAC can also lead to inefficiencies. When looking for programmable thermostat aircons, it is advisable to choose credible licensed distributors allowed to retail original quality products within the area. This will help you land genuine thermostats that are effective and efficient. Like many other products, there are some brands that are more reputable than others although they often come at a costlier price. 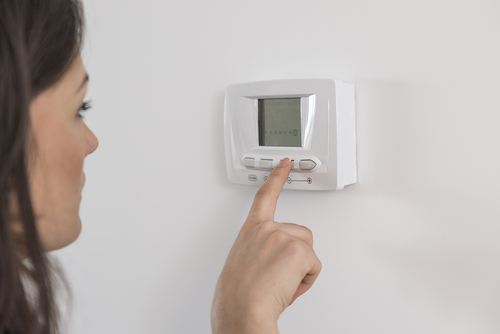 The necessity for programmable thermostats really depends on your needs and existing HVAC system. Nonetheless, they are still high tech appliances that bring the conveniences of modern technology back home.